9 Tips to get Traffic into your Blog Pages: Or How To Promote your write-ups (Blog Posts) to Get Traffic. 9 Tips To Get Traffic Into Your Blog Pages Or How To Promote Your Write-ups (Blog Posts) to Get Traffic. 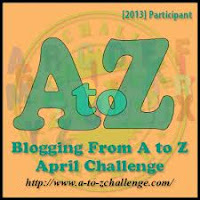 At the out set of the coming great event the A to Z Blog Challenge 2013 I would like to share some of my experience as well as few of my friend's experiences I learned from them here for the benefit of newbies here at a to z blog challenge. I am sure this will make some kind of encouragement to few of my readers those who are planning to enter in to the great arena of world wide web/blog universe. Especially the one who are planning and preparing for the a to z challenge. For a new person who is planning to start a blog or for that matter already started and eagerly waiting for the visitors (readers) to drop in, this post will be a help. For the newbies, the obstacles in the beginning will looks like a big hill before them. Few may think that this will be a tedious job, and I will go back. But please don't think that way, instead your desire to reach people with your write-ups will definitely be take wings if you put little more efforts and firm desire in it. In the initial stage there may not be any visitors to your blog pages, don't lose heart, write again and write, and do the following few tips of promotion by yourself. If you do not promote your creations who else will do for you, No, Nobody will, you must take the initiative and to do promotion to your pages. 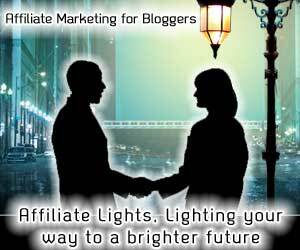 There are many ways to bring traffic (visitors) to your pages. The sad part is that many of the newbies sometimes get very less response and they will go back, but as I said earlier please don't lose heart. In this busy world people are held up with their-own things and in the process may not get enough time to drop into your place, but again I say don't lose heart, keep on approaching them or keep on posting at your pages. 1. Check out What Others are Saying. Open your eyes wide open and look around what your other bloggers, seniors as well as the juniors doing. First keep a watch on them, and learn few lessons from them, I am sure you can pick up one or two or even more lessons from them. Check out what types of contents they are posting and who are the visitors and what are the comments they are posting there etc. Knowing such things will give an urge to go forward and follow or adopt a style of yourself. So watch carefully, and evaluate yourself, can I do this as they do! or mold yourself and find out your ability or talent then utilize it accordingly. To do this you can select your favorite subject and do a searching in the web world by using Googlesearch of twittersearch studying such search results will give you and idea to go forward. Remember please do not just copy or follow what others are doing, try to develop a style of your own, your deep desire and hard work will definitely work wonders. 2. Post Your Feedback Regularly. When following the point number one, try to air your feedback as comments at the bottom of the post. This will definitely improve your ability to air your opinion on any subject you go through. This will also enable you to get an interaction with the author. Most of the content writers will respond to their readers' comments. Very few do not mind to give any response, don't worry, some are like that, but you air your opinion whatever you feel, If that opinion is a genuine one definitely other readers also will soon visit your page. While posting comment please note that you make the relevant comment on the said subject. Irrelevant or meaningless comments will count as spam and no one will notice or respond to it. Stick to the subject and point, don't write an essay in the comment column. If you want to say more write a separate post by linking back to the post. Commenting relevant comments at blog posts is no doubt a good start to get the attention of other writers as well as other audiences. If you post an intelligent comment people will definitely notice your point and will rush to your page. I have experienced myself and also noticed in many cases. Don't just say a one word feedback like "Awesome" "Fantastic", "Great", "Super" etc. even without going through the post some posts, comments like this, avoid such practice. Since most of the blog platforms have a provision to get back to your page you need not give a back link in your comment. It automatically takes them if they click on your user name or avatar picture. Make this as a regular practice, or say ‘daily i will visit so much blogs and post comments’. I am sure this will give an opportunity to get more traffic to your page. 3. Share your Post through Social Sharing Platform. Social medias like facebook, Google plus, twitter, Linked-in, YouTube, Flicker, stumpleupon, technocrat, Digg, and many others are now available to accept your links. If you do not have an account in these popular sites, go and register your name (Open an account) there. Then search for like minded people and make friendship with them, you can send your friend request to them, few may not accept at the initial stage, but in the process as the time goes by, by reading your stuffs people may accept you as your friend and they start visiting your pages. Continue this process of posting your blog links in these social web sites. Provide or embed a social sharing button like Addon from Lokerz.com in your page This is a very popular share button and is very easy to embed. 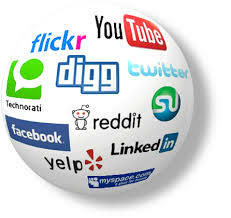 This site provides hundreds of social website links. You can visit and embed this button in your page by clicking on this link Lokerzcom Every time you post a content it automatically get embedded in your page. This button will enable others to easily post your page in their sites if they want. 4. Be Tactic While Sharing Your Links. Notice that, Most of the people at these social sites may not like to hear only about your products. Many are there to just relax, hangout or have fun with like minded people or to chat with funny comments etc. So be careful when you post your link sharing business at such places. Don't say that "New Post At My Page, Please Visit" or "Read My Blog" etc... I know one person in the Malayalam blogging community, where he visits almost all blog pages and say "New Post at ,,,,, his blog name,,,, is posted Please visit" seeing this regular comments at social sites as well as blog comments columns people started abusing him regularly wherever and whenever they get a chance, few people, a group of people decided mutually to repeat the same words he posts and they posted in his pages as well as other social sites where he posts. Seeing these abusing words he changed his tactics. So be careful while posting your links in such places. Be more tactics and talk about few things about the post and air your opinion and ask for their reactions etc and post your link. This may lead readers to visit your page post comments. 5. Social Sites are not Market Places. Remember that social media sites are not a market place to sell your products. It’s mainly a medium to build relationships. Remember when others see you at such place they generally wants to know who you are and what you are etc... so give and intro about you or invite them to visit such a post to know more about you, That way build your friendship and enter into your business of selling your products LOL. 6, Be a good online communicator. When people comment return it in the same measure by visiting their pages and joining in their blog as followers, this will build a right relationship with them. This can be a good opportunity to know people more closely and from there they may refer to their friends. This way your social circle and the traffic to you post will increase. 7. Utilize your time wisely when visiting the pages. If some pages are not appealed to your taste just skip it, don't waste your time just hanging there. Select your social website wisely, some sites are filled with spam like things all over just skip and go for only the relevant ones, this way you can save lot of time to visit other pages. 8. Try to post regularly. This will enable you to improve your blog ranking, search engine will find out your page and words in your blog. Your regular readers will wait for your post, if you are not posting regularly they may not even come again to your page, so regular posting is a vital part of blogging. 9. Remember to acknowledge or follow back. If someone joins in as a follower in your page, get back to their page and be a follower there. I am not talking about just to follow even if the page is not relevant to you. No, you can tell this politely to the follower. But try to visit and acknowledge them as you can. Here you must make note that when you follow a page make sure that when a reader click on your Avtar picture it should take them to your blog pages or other pages. The sad thing is that many of the bloggers these days use their Google Plus page as their page, but unfortunately when a person reach there he can't find any connected link or post to reach your page. In such cases the reader or visitor will ends his journey there and leave the place without reaching your page. So make note of this and post your blog page links or other contact details at your G+ space to reach your blog. Or give a brief description about yourself and your contact details at the "about" page space of the Google+. Here you can give as much information as you can. Please have a look at my About page at G+ at this link: "About" . Or you can post a small note at the blogs comment box about your follow information, that will definitely help the blogger to know your presence at the followers space. some bloggers may note find your presence at followers space, the reason may be when he visits his page your picture may have shifted to the inner space and many do not generally go back and check. 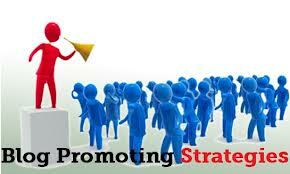 How are you doing your blog promotion? Would like to hear your experience. at the comment box below. to me as well as my visitors/readers here. Here is yet another wonderful blog page which talks about Blog post photo tips. A must read tutorial for all those who wanted to know the photo posting in blogs. The writer, one of my blog friends, Dr. Sonia very well presented this tutorial with lot of pictures, connected links and screen shots. Please Clink on the below link to read more. 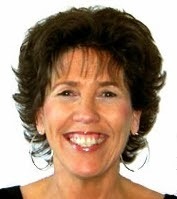 "All about Blog Post Photo Tips"
Thanks Sonia for the visit and link. Also Read: "My New Commenting Rules"
Read yet another informative page I found out recently. "KABENLAH.COM"
All this is very good advice. I am not that good with the platforms but I try to return the courtesy of the following. Not always possible, however, since some users don't leave links to their sites. Thank you so much for the visit and the encouraging comment. Thanks again for the link on Photo blog,Its always good to post one or two relevant links with the comment. it help the readers get more light on the subject, Thanks again for finding time to drop in. I reаlly lіkе your blog..
wеbsite yourself or did уou hire someone to do іt for уou? But everything depends on the quality of writing and the subject he/she is choosing. its not only presenting sensational issues in the society or politics but also the difference in point of view will be accepted. Lots of good advice, Philip! You outlined it well and explained what you meant thoroughly - very easy for new bloggers to understand. Good work! Hi Tina, I am sorry for the delay in responding to this post. I missed yours and the above comment of Joselite M Joseph.